The goal for this new build model home was to bring regional flare, but in a modern and fresh way. Greige became the perfect backdrop for accents of cobalts and rich caramels. The modern-industrial mixes of medal and wood are the perfect blend of modern and rustic southwest styles. 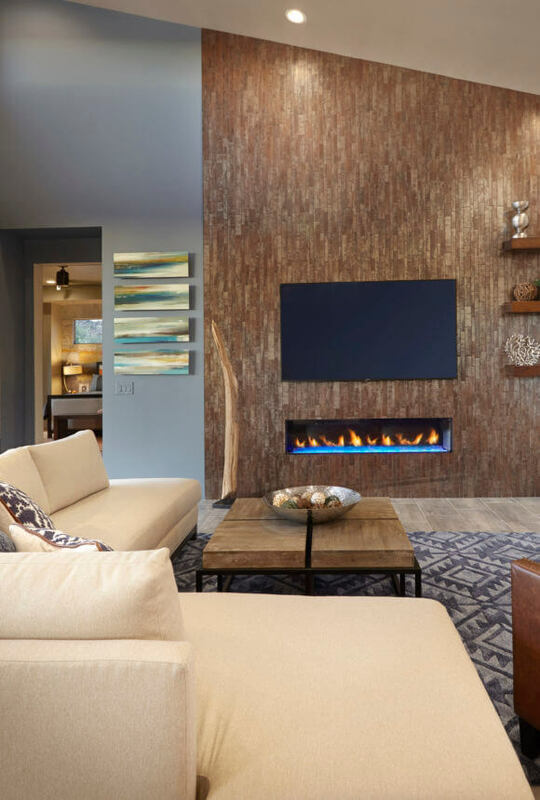 Upon entering you are greeted by a grand wall of linear metallic tile installed vertically on the fireplace wall. This play on metal used in various ways, whether in tile, furniture or art, is then repeated in every area of the house. The sophisticated master suite with accents of smoky bronze and orange are in harmony with the abstract wallpaper mural. 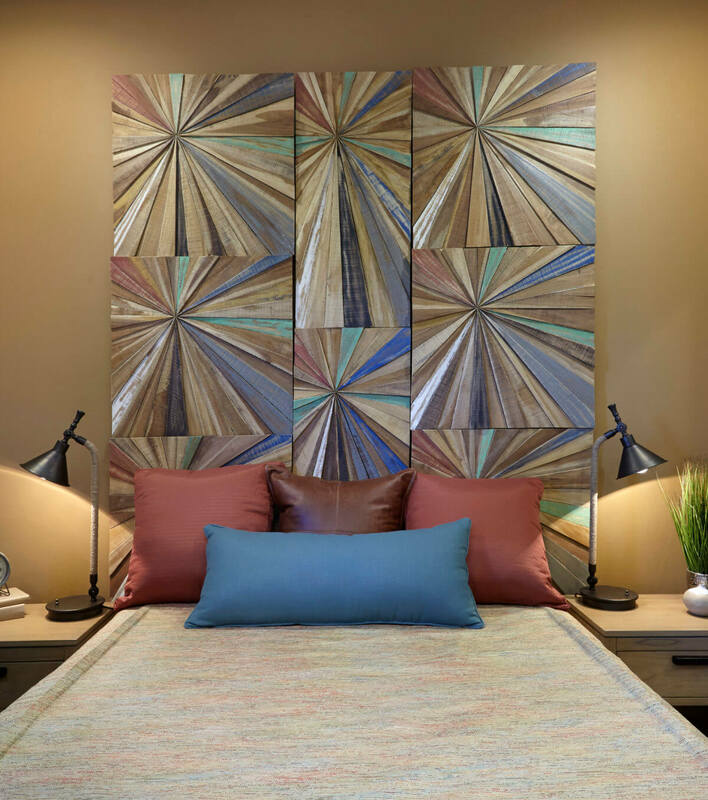 The guest room holds a bit of whimsy with a headboard made from star burst wood panels. The adjacent courtyard and multi-purpose room with its garage door are perfectly designed for large gatherings. The garage door steals the show, but high energy colors and modern restoration furniture help seal the deal. 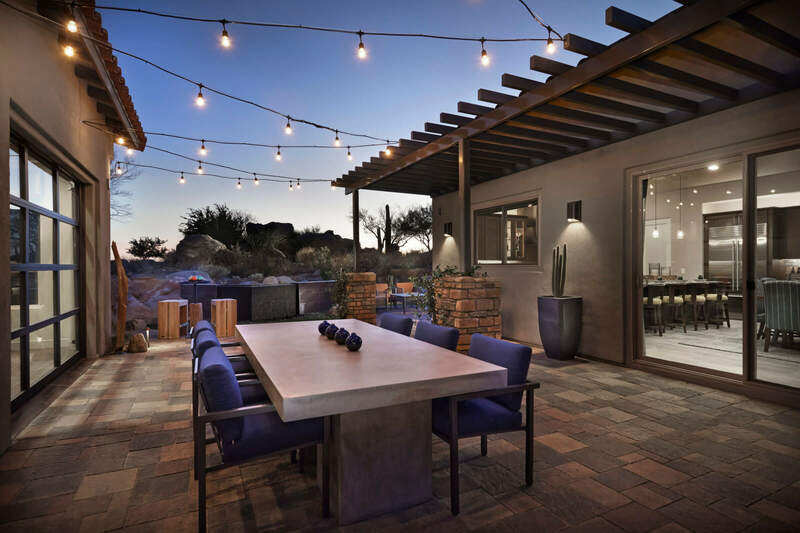 The courtyard with its glowing cafe style lights and sleek outdoor furniture is the perfect place to be on those cool desert nights. 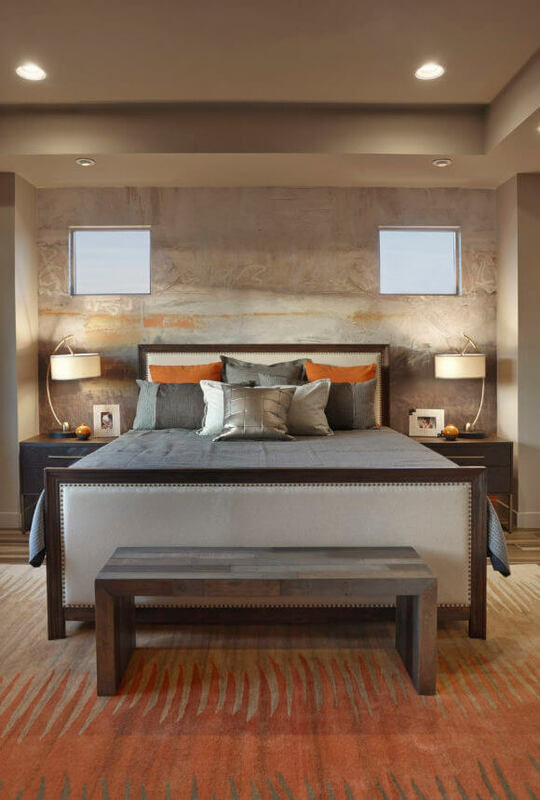 The sophisticated master suite with accents of smoky bronze and orange are in harmony with the abstract wallpaper mural. Reclaimed wood panels in a star bust motif are used as a headboard in the fun and whimsical guest bedroom. High ceilings are highlighted by a linear metallic tile set vertically. 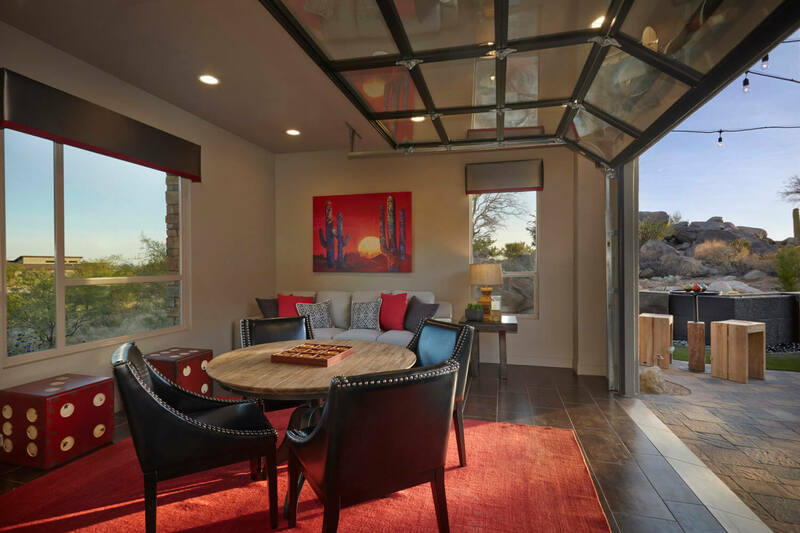 Using the modern desert canvas artwork by a local artist as inspiration, the designer took the energetic accent of crimson red to help move the eye around the space.